Planning a trip to Germany? Seeing a castle (or two) should definitely be on your list of things to do while in the country. 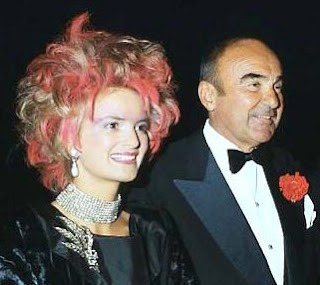 Germany has an abundance of royal and noble homes, after all the country was only united in 1871 and there used to be dozens and hundreds of small states with their own residential towns even until the end of the monarchy one hundred years ago. Estimates say that you would be able to find more than 20,000 castles dotted all over the country. But where to start? 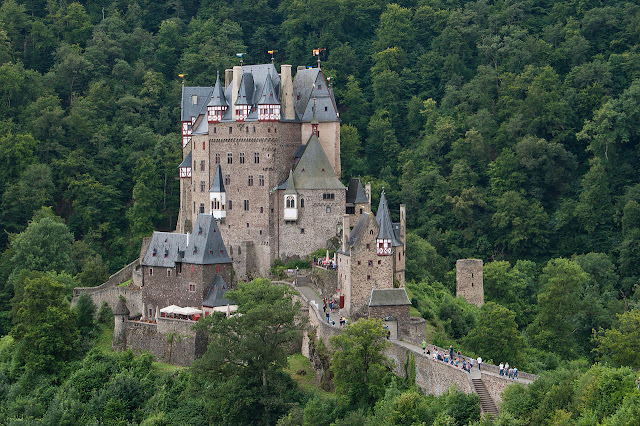 Here are eleven castles to see when visiting Germany. If you pass by Berlin, better forego the capital's castles and head for a day to nearby Potsdam. It's only half an hour on a train and there are probably more castles and palaces than you can count on two hands to be found in the former residential town of the Kings of Prussian and German Emperors. The most famous of them all is Schloss Sanssouci, the summer palace of Friedrich the Great. The Rococo-style palace itself is actually fairly small but there are tons of other palaces and sights located in its direct vicinity. Schloss Neuschwanstein may just be the most famous castle in the world, after all it stood model for Disney's Cinderella Castle. 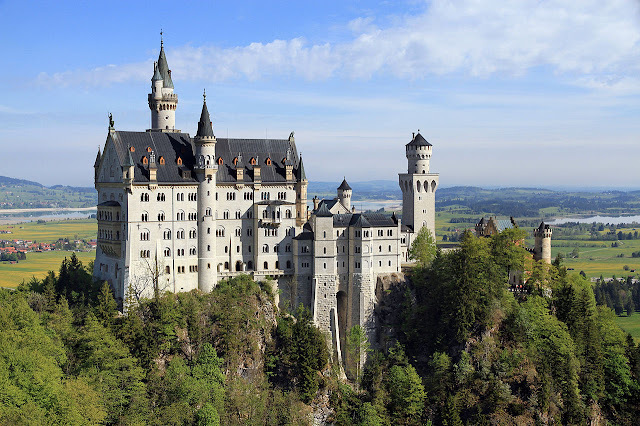 The dream come reality of King Ludwig II of Bavaria, alternatively known as the Mad King, the Fairytale King or the Swan King, is also the most visited castle in all of Germany. And while the tourist crowds can get a bit annoying, it's still very much worth a visit. Trust me, 15 years on and I hardly remember the crowds of people at all but it's stunning rooms are still vivid in my memory. 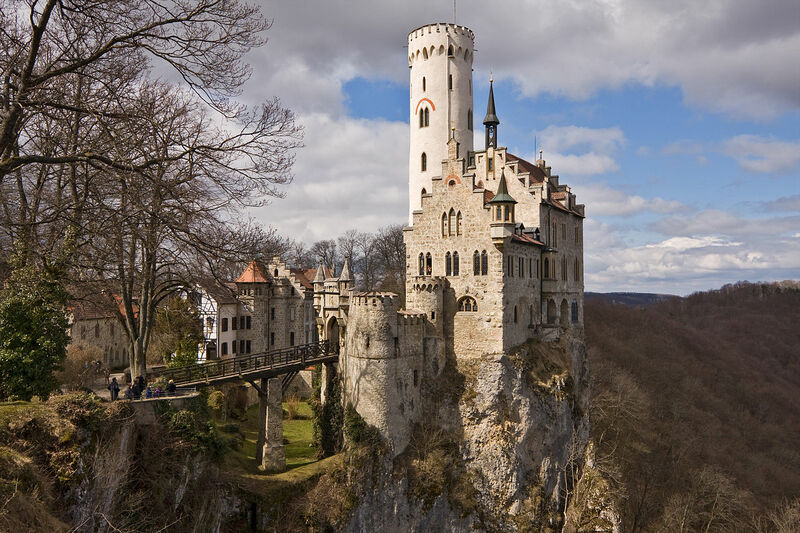 Schloss Lichtenstein probably is the most scenic castle on this list certainly not lacking scenic castles. "The fairytale castle of Württemberg" is enthroned on a hill near the city of Reutlingen and another Romanticised version of Medieval castles. The modern castle was inspired by the novel "Lichtenstein" by Wilhelm Hauff and was built in 1840 and 1842. While I haven't been there myself yet, it's pretty high up on my list of places to visit. 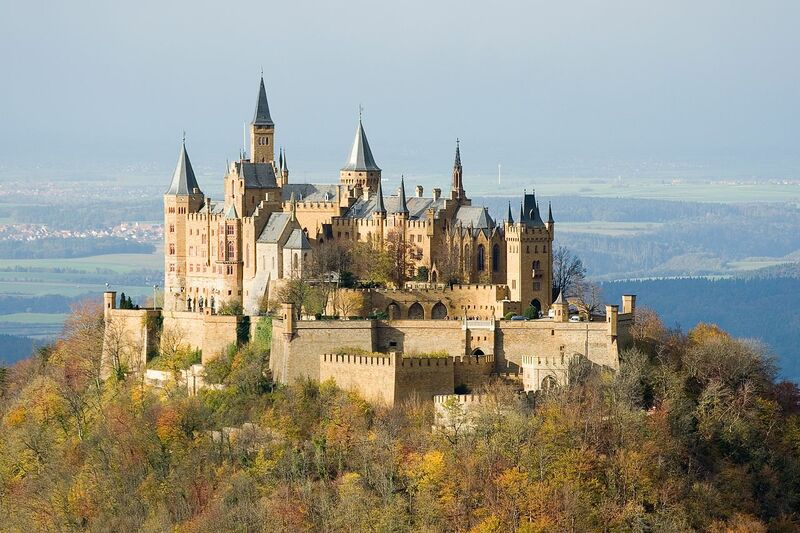 This one I haven't seen myself yet either but Burg Hohenzollern pretty much is the quintessential Gothic revival style castle of Germany and one of its earliest examples. 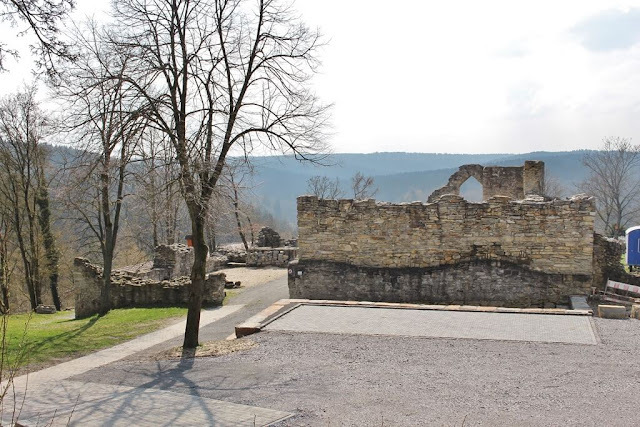 Previously, two other castles had been located on the same hilltop on the Swabian Alp that had either been destroyed or fallen into disrepair. The third Burg Hohenzollern, ancestral home of the future German Emperors, was constructed between 1846 and 1867 by King Friedrich Wilhelm IV of Prussia. Today, the castle is co-owned by the Swabian and Prussian branches of the House of Hohenzollern. From all the Neo-Gothic castle now onto an actual Medieval castle: Burg Eltz. The home of the Counts of Eltz, who have owned the castle for 33 generations since the 12th century, is one of the very few castles along the Rhine river that has never been destroyed. The castle is actually so famous in Germany that, between 1965 and 1992, an engraving of the Burg was used on the German 500 Deutsche Mark note. It has also been featured on a stamp and is featured in the catalogue of road signs in Germany as the example for a touristic destination. 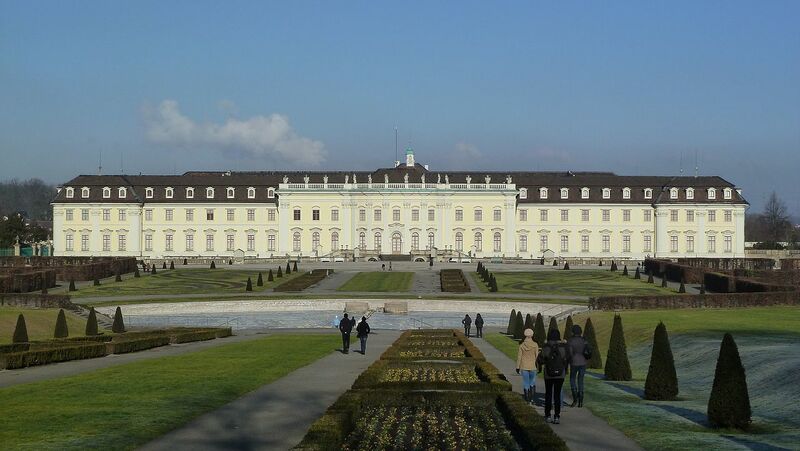 With Schloss Ludwigburg, or the Versailles of Swabia, we head back to the Baroque way of building a palace. Former home of the Dukes and later Kings of Württemberg, the residential palace featuring 452 rooms is one of the largest in Germany and the only one from the Baroque period to not endure any damage during the Second World War, thus still showing its original splendour. Phew, that were eleven castles to visit when visiting Germany for the first (or second, or third time, or anytime, really) to mark #PalaceDay today. Not enough yet? Become a follower of Castleholic on Facebook, Twitter or Instagram and get all the latest castles and lists of places to see. I'm currently compiling a list of eleven-ish more castles to visit, featuring all the insiders tips that aren't as famous as all the places featured on this list. Plus, I will revisit one of the places featured on this list very soon, so stay tuned cause on Castleholic basically every day is Palace Day!